An escape to wilderness and panoramic views is so close to the city, and it’s even more accessible this Spring Break as the Sea to Sky Gondola offers up free admission for kids! Monday to Friday, March 13th to March 31st*, up to three children 12 and under accompanied by at least one adult, can ride the Sea to Sky Gondola for free. The Sea to Sky Gondola’s forested trails are the perfect backdrop for unstructured play time in nature and the summit’s viewing platform’s iconic views are the perfect place to break out the selfie stick for some candid family photos. 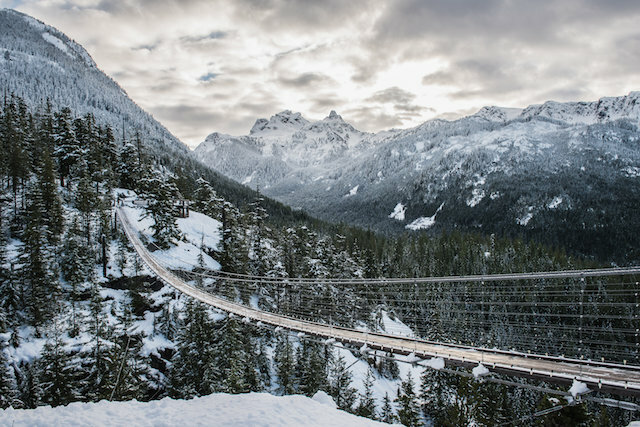 Kids can snowshoe along winding alpine trails, snow tube, play a game of Winter Bingo and dare to cross the unforgettable 100 metre long Sky Pilot Suspension Bridge before warming up with a hot chocolate and a snack in the lodge. 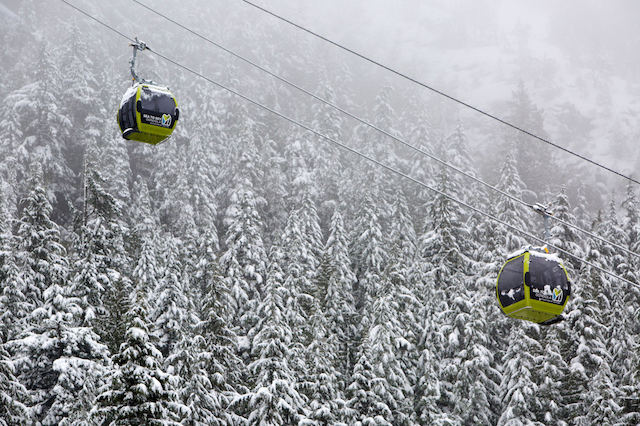 The Sea to Sky Gondola’s annual pass campaign will also launch this spring on March 13th. A Sea to Sky Gondola Annual Pass lets guests access all four seasons for $119 + tax for adults and $299 + tax for a family of four. Annual passes will be available to purchase at any time of the year but to access the discounted rate, purchase must be made between March 13th to April 30th, 2017. With unlimited access to the Sea to Sky Gondola annual passholders can take advantage of the full year round experiences designed for families, outdoor adventurers and everyone in between – hello sunset après sessions with the Mountain Music Series this summer! Hours of operation now until April 30th are 10:00am to 5:00pm, with the last ride down at 6:00pm. Adult day tickets are $37.95 when purchased online and $39.95 at the ticket window. Coming from Vancouver? The Squamish Connector (24 seats) offers roundtrip shuttle service from three downtown Vancouver locations to the Sea to Sky Gondola. Guests can enjoy three hours at the Sea to Sky Gondola before returning to downtown Vancouver by 4:00pm. St. Patrick’s Day – March 17th: Little leprechauns can enjoy arts & crafts and story time on St. Patrick’s Day while the big leprechauns will find their pot of gold that evening with a Howe Sound Brewery beer pairing dinner in the Summit Lodge. Dinner will start at 6:00pm and the event ticket includes a three-course, three-drink Irish-inspired menu accompanied by live music by local Squamish muscians Cam Salay and Sofie Hill. Dress in your best green attire. Easter Egg Hunt and Brunch – April 16th: Experience a memorable Easter Sunday, complete with a delicious brunch, with family and friends at the Sea to Sky Gondola on April 16. Activities include Easter egg hunt, arts & crafts, maple taffy station, and family snacks. 3rd Birthday Celebration – May 13th: Come out and celebrate the Sea to Sky Gondola’s third birthday with live music, family activities including face painting, arts & crafts and guided behind the scenes tours. 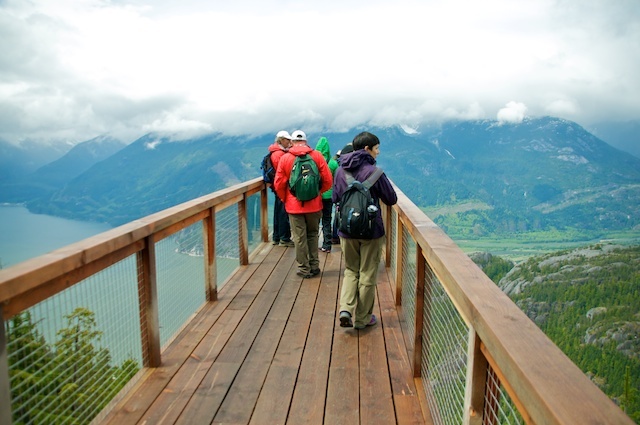 Mother’s Day – May 14th: Spend the day with mom exploring the alpine trails and enjoying the views of Howe Sound from the summit. Story time will keep the kids busy while mom enjoys a mimosa from the Edge Bar. *This offer does not include weekends, it’s Monday to Friday only.